NebraskANN on Where to begin? deadeyeblog on Where to begin? weggieboy on Where to begin? It’ll be a full clown-car that rolls into North Platte on Friday morning, now that Texas Sen. Ted Cruz has endorsed Republican Senate candidate Ben Sasse, and has signed on to the campaign event at Scout’s Rest. uVoted4them.com had expected the Cruz endorsement Wednesday, but saw instead the Cruz endorsement of Pete Ricketts for governor. The Ricketts’ folks had a full day to bask in the glory of their catch, before the Sasse campaign received the honor. In addition to Cruz and Sarah Palin, Ricketts has been endorsed by Wisconsin Gov. Scott Walker. We don’t know what Ricketts has planned for Nebraska if he’s elected, but we’re beginning to fear meaningless self-promoting stunts (Cruz), gaffe-prone rhetoric (Palin) and the steamrolling of worker’s rights (Walker). 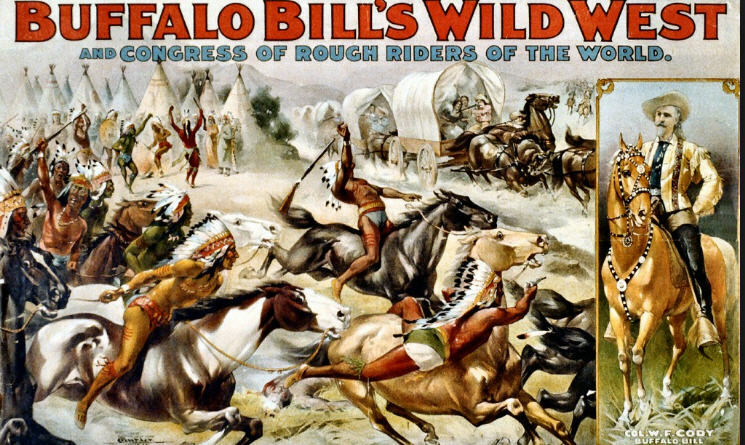 In any event, it’s worth noting that Scout’s Rest was the home of Buffalo Bill Cody, who is remembered not so much for fighting Indians as he is for the wild West show. NBC News is suggesting that Tea Party organizations are pouring so much money into the Republican Senate race here because their candidates are losing in North Carolina and Kentucky. Senate Minority Leader Mitch McConnell appears headed to re-election in Kentucky over Tea Party pick Matt Bevin. Likewise, the establishment Republican candidate in North Carolina, Thom Tillis, has the lead, although there could be a runoff in that crowded field. A Sasse victory in Nebraska would avoid a Tea Party catastrophe in the early primaries. Nebraska’s primary is May 13. The North Carolina primary is May 6. Kentucky, Georgia and Oregon hold their primary on May 20. Establishment candidates hold the lead in Georgia, and the likely victor in Oregon supports abortion rights. Republican Senate candidate Shane Osborn has picked up the financial backing of the Senate’s two military veterans, Sens. John McCain of Arizona and Lindsey Graham of South Carolina. Breitbart reports that both are making donations to the Osborn campaign. The two became supporters of the former Navy pilot in February, when Nebraska Sen. Deb Fischer invited Osborn to a closed-door luncheon in Washington. Breitbart also reports that neither has any plans to make campaign appearances in Nebraska on Osborn’s behalf. Graham, 58, joined the Air Force after graduating from law school in the early 1980s, and served as a judge advocate in Europe. He returned to his native South Carolina after discharge, and served in the Air Force Reserves there. President George W. Bush promoted him to the rank of colonel during a White House ceremony. Graham is not a combat veteran. McCain, 77, had a more colorful and painful military career. Both his father and grandfather were four-star admirals, and McCain followed in their footsteps by graduating from the Naval Academy in 1958. During Vietnam, McCain flew bombing missions from an aircraft carrier. He was shot down over Hanoi in 1967 and badly injured. Out of deference to McCain’s admiral father and his family’s 200-year history of military service, the North Vietnamese offered to release him in 1968, but McCain refused to leave his fellow prisoners behind. He remained a prisoner for five more years, and was released with other American POWs after the Paris Peace Accords in 1973. McCain retired from the Navy in 1981 as a captain. Republican Sen. candidate Bart McLeay has launched his first televison commercial with a statewide ad buy in the neighborhood of $100,000. The spot debuted during NBC’s coverage of the Olympics, and will be running for the next few weeks. Some blogs have panned the folksy commercial featuring McLeay’s family, but it’s a nice change from the typical political talking head, and the McLeay family shows a natural talent for delivering lines. Catch it on YouTube if you miss it on your small screen. McLeay is an Omaha native, business lawyer and partner at the Omaha law firm of Kutak Rock. He played football for a year at the University of Arizona and graduated from the University of Virginia law school. According to his campaign web site, he is pro-gun, pro-life and pro-flat tax. He supports limited government and cutting spending “back to basics and budget(ing) within our means.” He says he would replace Obamacare with a free-market-based alternative, which may pique your interest because the basis of Obamacare is having Americans buy insurance on the free market. If you missed the debut of Nebraska’s first campaign commercial of the 2014 season during Saturday’s Chiefs-Colts game, the 30-second spot is set to air again during Monday’s national championship game between Florida State and Auburn. Or, if you don’t want to wait that long, there’s a link to a sneak peak at Republican Ben Sasse’s campaign Facebook page that will take you there. Sasse, president of Midland University in Fremont, announced an ad buy for the BCS championship game last month. The campaign said it was working with conservative media guru Fred Davis, who is known for his unconventional ads. Davis, nephew of Oklahoma Sen., James Inhofe, grabbed national attention for turning immigration-friendly Arizona Sen. John McCain into a tough-talking anti-immigrant superhero during a difficult primary race. More recently, he produced unsuccessful Delaware Senate candidate Christine O’Donnell’s “I am not a witch” commercial. Fortunately, Sasse’s ad is more along the lines of the McCain ad. It’s called “The Outsider” and tries to position Sasse as an outsider to Washington politics, even though he is the only Republican candidate for Senate who has actually worked in Washington — a city where he’s held a number of jobs in government. Sasse leads the Republican field in fundraising, with substantial out-of-state donations from big-dollar super PACs, like Club for Growth and Senate Conservatives Fund. Recently retired Army Col. Tom Brewer of Gordon is hoping to replace Rep. Adrian Smith in the 3rd District. Brewer is 36-year veteran who served six tours in Afghanistan and earned two Purple Hearts and a Bronze Star there. While most candidates for the 3rd District vie to be the most conservative of the field, Brewer’s campaign positions have turned out to be refreshingly mixed. He supports the expansion of Medicaid to insure the poor, but says the rest of the Affordable Care Act should be repealed. Brewer also questions the safety of locating the proposed Keystone XL pipeline so near the Ogallala aquifer. Seinfeld character Frank Costanza created Festivus as a holiday for the “rest of us.” Maybe Brewer will be the candidate for the rest of us. Finally, kudos to Republican Senate candidate Bart McLeay for following his end-of-year fundraising email with a “thank you” email, even sending one to people who did not donate. Candidates flood inboxes with pleas for money as the quarterly reporting deadlines loom. It’s nice to see one who hasn’t forgotten his manners. McLeay has his own new video, and you can see it here. Ben Sasse’s campaign to become Nebraska’s next member of the U.S. Senate hit a snag Thursday when the wrong email was sent to supporters. Political campaigns often send out various versions of the same basic email message. Depending on the sophistication of their database, a campaign will send out emails to groups based on gender, age group or their stated position in a particular issue. There might also be one version for big donors, a different one for smaller donors and a third for supporters but non-donors — the people the campaign wants to encourage to donate. We don’t know which, if any, special group Ben Sasse’s campaign was targeting when it set this glitchy email Friday, but it looks as if the declared anti-Obamacare candidate in the race for Mike Johanns’ Senate seat might have suffered from some of the same technical snags as the much-maligned roll-out of the Affordable Care Act. We just hope it wasn’t a $300 million snafu. Too busy to keep up with Washington? Check out the "He's Your President, too!" tab.